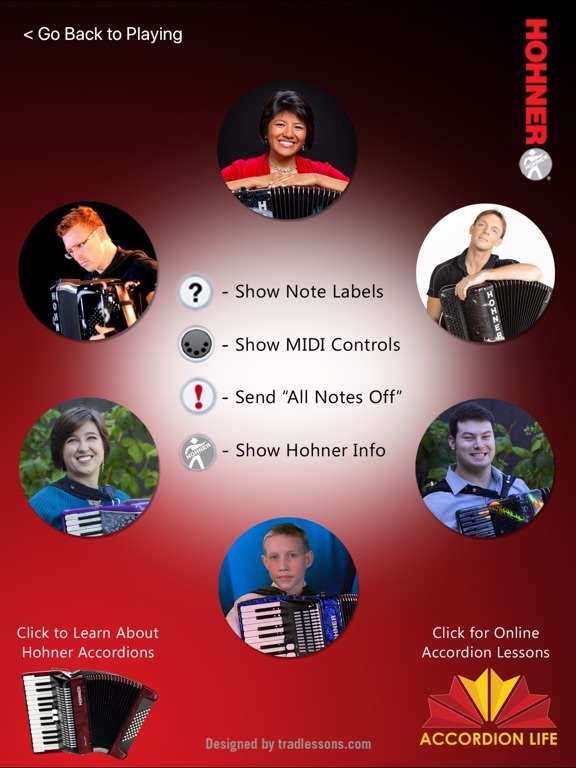 The Hohner MIDI Piano Accordion is a piano accordion-style CoreMIDI control surface for the iPad. 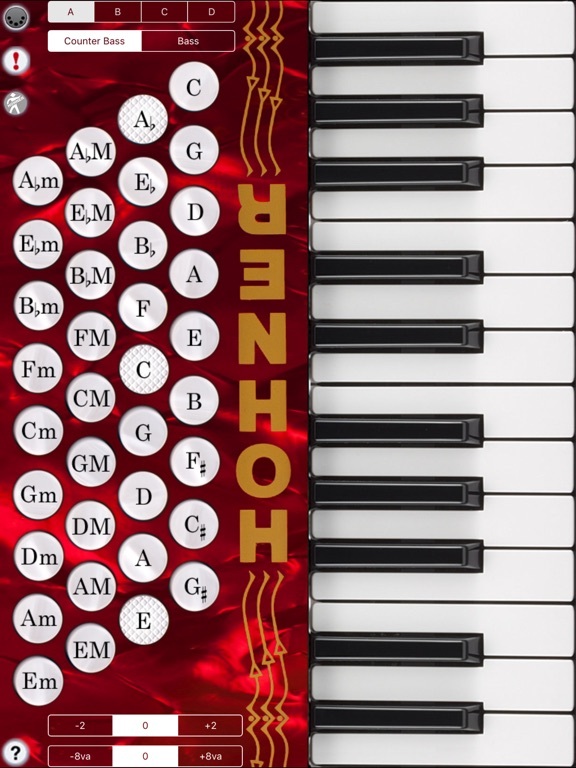 The app has a two-octave 24-key treble keyboard and 36 bass/chord buttons. 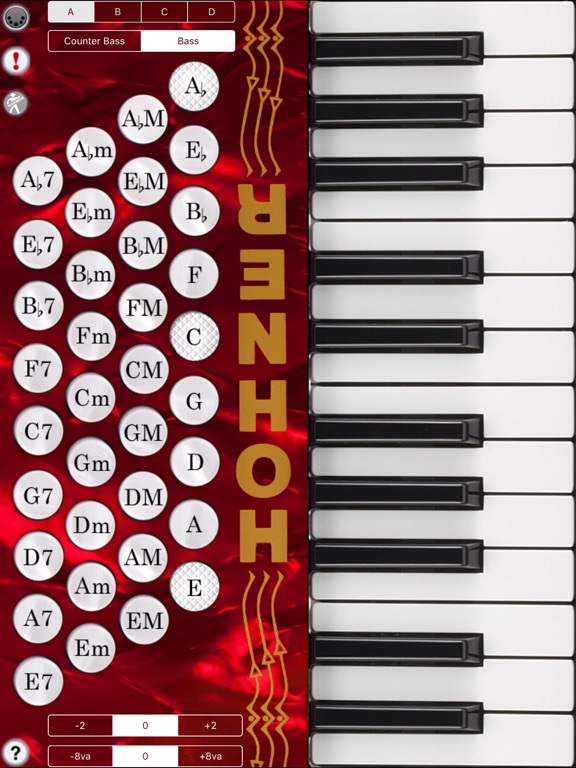 Using the controls, you can set the MIDI channel (1-16), MIDI velocity, and MIDI volume independently for the treble, bass, and chords. You can also set the overall MIDI transposition for all three sections (+/- 12 semitones). On the MIDI control screen you may setup four presets. Once setup, the presets may be selected from the main play screen. These can be used to quickly switch between instrument sounds while playing without having to bring up the MIDI settings page. All presets are saved when the app is closed. The app accurately maps the chord inversion on a real piano accordion to their equivalent MIDI note numbers. New Feature: The bass/chord side may be transposed up or down two semitones using the control at the bottom left of the screen. Note that when the pitch is transposed, the note labels do not change. This may be addressed in a future update. 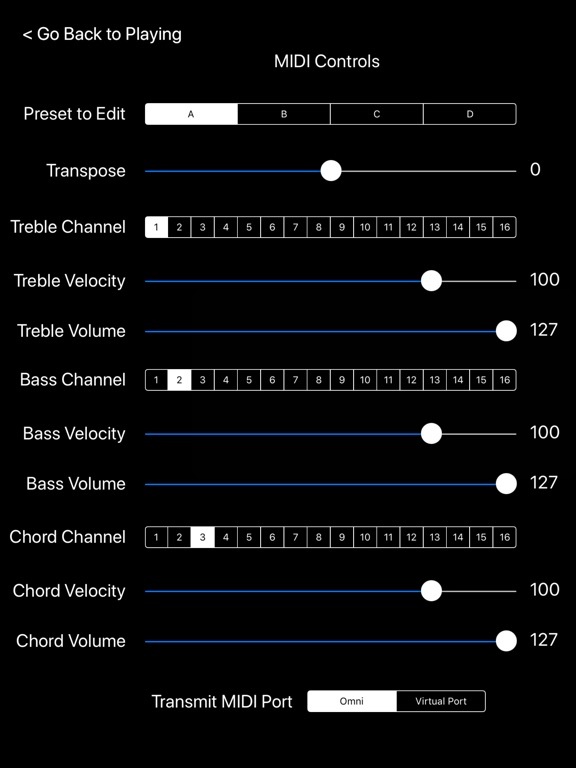 This feature expands the range of bass side by shifting the entire bass up or down two rows.